The Eskadron Cotton Square is an eye catching glimmer copper and white boarder to give this everyday pad a touch of elegance. 100% cotton with a PE foam fill for comfort. 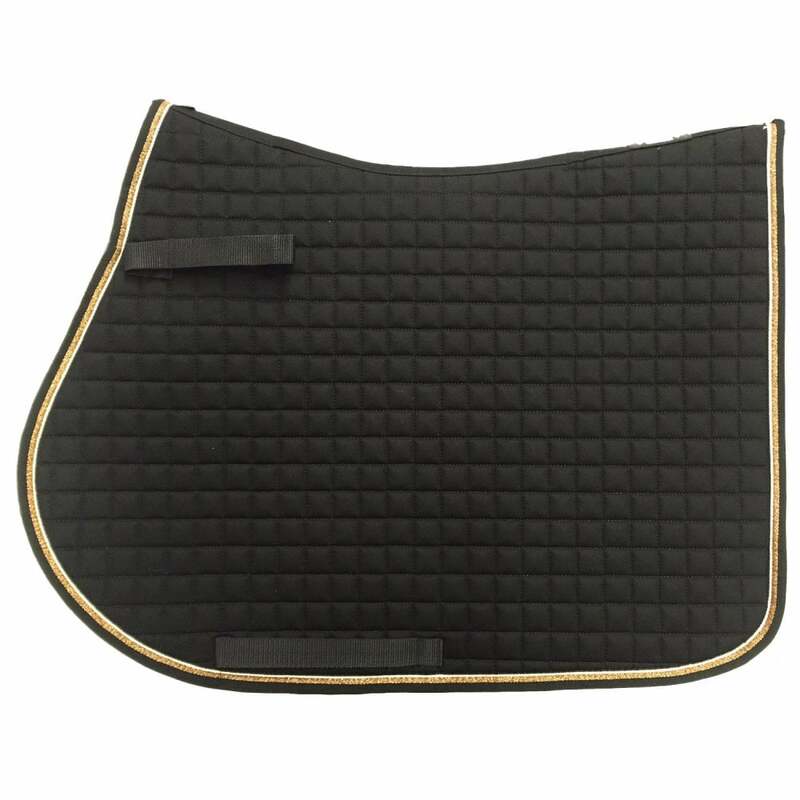 Available in shaped fronted GP or straight cut Dressage.